Claim: No idea. The L'Oréal website doesn't even have these online yet! 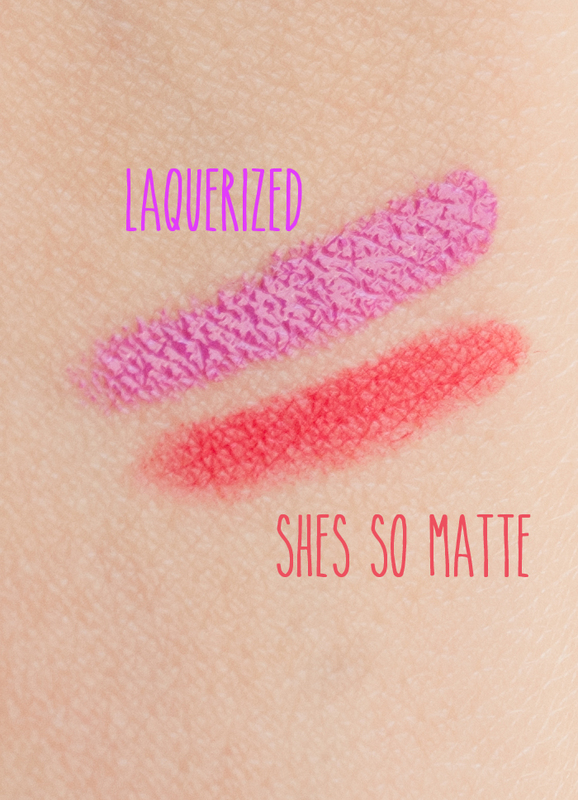 Coverage: These are very opaque, full color lipsticks! Application: I apply them straight from the tube. While you could use a lip brush, I think you might lose the special finishes that accompany each type of product. Wear Time: The wear time for the Le Matte is amazing; I ate an apple with it on my lips and while some color came off, it was still pretty good looking. 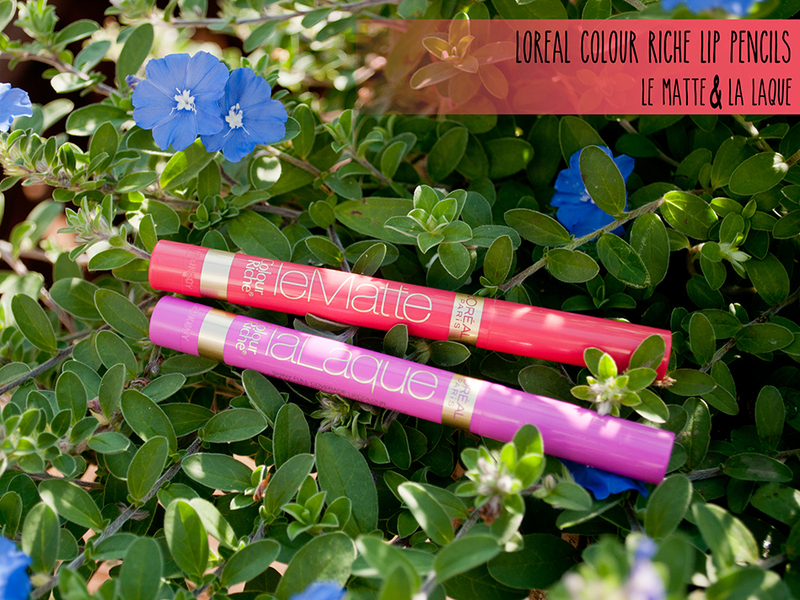 Both La Laque and Le Matte will stain the lips a bit so that your lips will look good after color transfer. La Laque is meant to look like, you guessed it, lacquer, so it doesn't wear quite as well. La Laque is amazingly shiny and completely non-sticky; it may be the best solution for those of us who love shiny lips but hate lip gloss. I was completely baffled the first time I put it on because it was just so incredibly shiny, but it had come from a lipstick. I would really like to know what goes in to this product to make it like that, but I guess I'll have to wait until L'Oréal releases some information on this line. Final Verdict: If you are a lipstick lover of any sort, get yourself to Target or Walmart or wherever you find L'Oréal products and pick these up in one of the eight shades. They are seriously awesome and insanely affordable for the final outcome. Even if you aren't a lipstick lover, check these bad boys out!